Bring on the Pulse—What It Is and How to Make It! This really caught my attention, because, besides being a full-blown sugar addict, I’m also a consummate seeker of health and better ways to eat. I’ve talked before about nutrient-dense foods—they’re the best way to spend our calories—so if pulse can help with addictions AND provide nutrient density, then it sounds like something we all need to know more about. 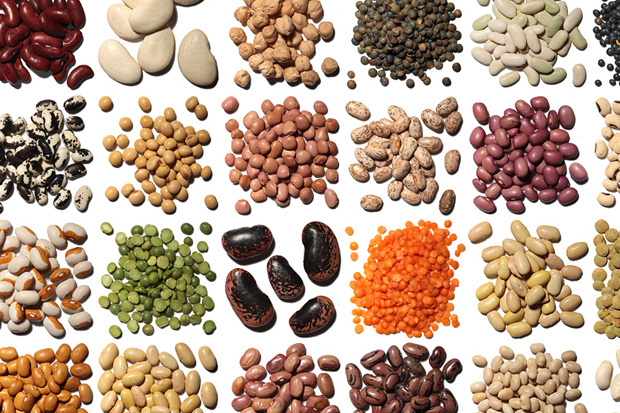 So first let’s look at what’s included in the family of legumes: whole peas, split peas, peanuts, black beans, red beans, kidney beans, navy beans, lentils, chickpeas (or garbanzo beans), and Mung beans, to name a few. They all are high in fiber, minerals, and vitamins. Legumes make up the backbone of pulse. So let’s talk first about how to SOAK nuts, seeds, grains, and beans: Start by placing the amount you want to use (1/4 cup of each is a good balance) in a large glass bowl and cover with warm water (about a 2:1 ratio) and add about ½ teaspoon Celtic sea salt. Stir and cover with a light cloth. Sit bowl on counter overnight. Next morning, rinse food thoroughly in warm water and drain. Next it’s time to SPROUT them. 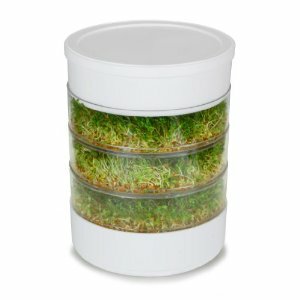 I have sprouted in a Mason jar, but I much prefer a stackable trays designed for sprouting. 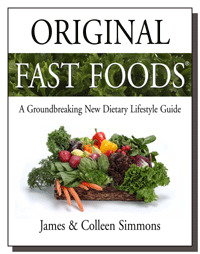 Whole and health food stores sell them and they can also be found online. So for a typical perforated sprouting tray, spread your soaked food evenly over the bottom of the tray. These trays usually come with a lid and I like to set my container in the lid at a slant so as to catch and drips. I put the entire thing in a large plastic bag, leaving the bag open so air can circulate, and I place this on my kitchen counter, out of the way. Before going to bed, I fill my sink with warm water and settle the tray into the water until all the nuts, seeds, beans, and grains are covered. I dip it up and down several times. This freshens the seeds and begins to wash away any hulls that are working loose. I drain it well and return it to the bag to sit overnight. I repeat this process the next morning. After about two or three days, you should see the start of some sprouting. In 1 to 4 days, the sprouts will be ready. Sprouts vary from 1/8-inch to 2-inches long. 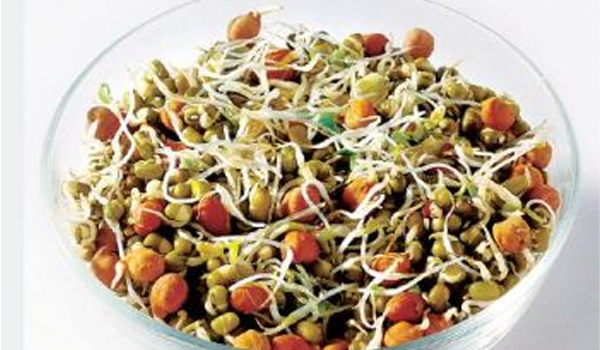 When ready, rinse sprouts well, drain, and store in a lidded container in the refrigerator. And lastly, enjoy your living, whole food—pulse that is a fabulous nutrient-dense addition to raw salads, sandwiches, wraps, soups, stews, and even green smoothies. When it comes to fighting food addictions or wanting a fast track to improved health, bring on the pulse!